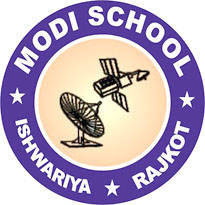 Modi School, Rajkot Published Recruitment Advertisement for Teachers (Primary, Secondary & Higher Secondary Section), Principals, Co-ordinator, HR, Computer Operator, Receptionist, Clerk, Peon, Ayaben and Bus Driver Posts. View More Details About This Recruitment Including Total Posts, Posts Name, Qualification, Age Limit, How To Apply etc., are Given Below. Salary : Salary According to Experience, Qualification & Interview Performance. 1-Indraprasth Nagar, Gautam Nagar Main Road, Rajkot. 150 Feet Ring Road, Opp. Rajkot Nagrik Sahakari Bank, Rajkot. Ambika Township, Jivraj Park, Mavdi, Rajkot. Modi School (CBSE), Opp. Metoda GIDC, Kalawad Road, At. Ishwariya Village, Rajkot.